The RFL is the lightest sock Darn Tough makes for the hill, but it's no lightweight. The RFL is totally Darn Tough. 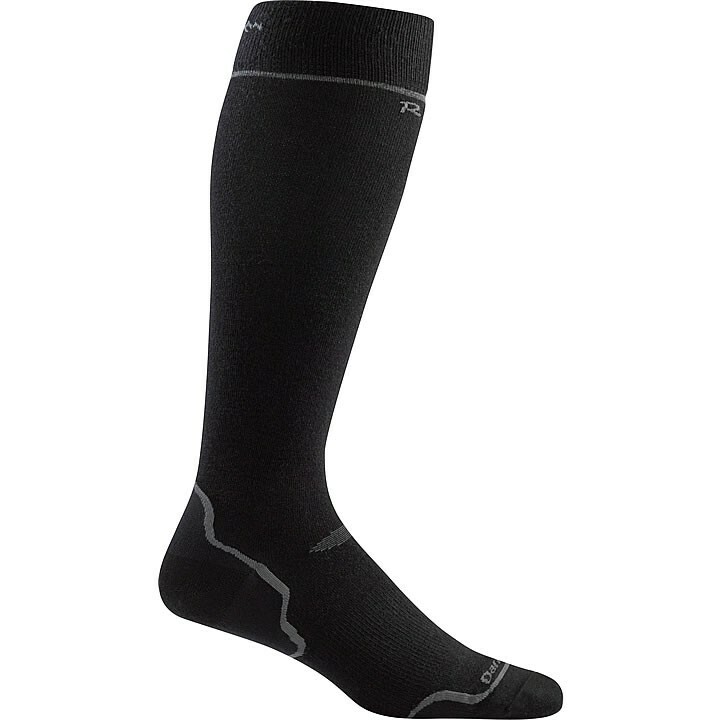 This simple go-to sock is designed specifically for skiers and riders looking for an incredibly lightweight sock without compromising on durability or fit. Over-the-Calf height is ideal for skiing and riding in deep conditions while Ultra-Light Merino Wool provides legendary warmth without the bulk. And since Merino Wool is naturally antimicrobial this sock repels bacteria and odor. If only everything in life was this simple. Still made in Vermont. Guaranteed for life. Ultra Light: Designed for speed and comfort. This is a go-to weight for race day or anyone looking for a lighter-than-air feel from a tougher than hell sock. True Seamless™: Using the latest generation of Italian knitting machines, Darn Tough is able to knit ultra-light yet extremely dense socks with an undetectable seam, here in Vermont. The result is miles and miles (and miles) of blister-free bliss.